The Spectrum Eye Centre is a provider for most insurance plans available in Canada, including Great West Life, Sun Life Financial, Co-operators, Blue Cross, and Green Shield. We direct bill to all participating insurance plans. Ask our staff how we can reduce your out-of-pocket payment through direct billing. Additionally, we welcome discount programs available through PVS, the Eyewear Advantage Program, and the Blue Advantage Program. 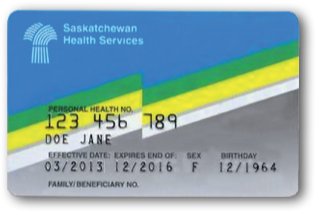 As a participant, you can use your vision benefits or discounts at The Spectrum Eye Centre locations both at our East and South locations in Regina. The Spectrum Eye Centre accepts most major vision plans. To see if we accept your vision benefits, just call your nearest Spectrum location and ask. Or, contact your vision plan's customer service department to find out if The Spectrum Eye Centre is a provider. Please Note: Private insurance coverage is an agreement between the subscriber and the insurance carrier. This may be insurance provided as an employment benefit of which has been purschased personally. All insurance coverage is not the same and does change from from time to time. Optometrist’s offices do not receive information on the coverage from either insurance companies or the local employers, and therefore do not know specific benefits or policies. Due to mFederal (PIPEDA) and Provincial privacy legislation, companies will not release to the office basic information such as eligibility dates or available coverage. Saskatchewan Health covers emergency medical eye care for everyone. Eye infection? Foreign object in the eye from grinding or welding? Sudden loss of vision? “Pink eye”?